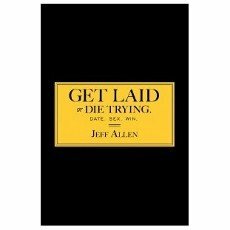 "An Exceptionally Authentic Account of the Path to Mastering Dating Skills"
There are a few auto-biographical and biographical style books that have come out. The most famous is "The Game" by Neil Strauss. Then there is a semi-autobiography from Mystery (Erik von Markovik) in "The Pick up Artist" which includes some scenes from Mystery's life in an excerpted fashion. Finally, Myths and Masters of The Game describes the story of Project Rockstar 2009. "Nine Ball" is different in that it's extremely authentic and direct account of the worst of Jeffy's path to learn to get better with women. It includes all the gory details.